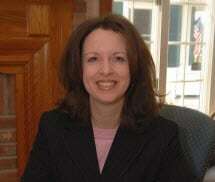 Michelle C. Laubin is a senior partner in the Milford office. Her practice focuses on education law, particularly special education law and student matters. Ms. Laubin has represented school districts in countless student discipline and special education matters, including attending planning and placement team (PPT) meetings, negotiation of settlement and mediation agreements, representation in expulsion and due process hearings, as well as resolution of State Department of Education complaints and federal Office for Civil Rights (OCR) complaints. In addition, Ms. Laubin is a frequent speaker on education law issues before school districts, the Connecticut Association of Boards of Education (CABE), the Connecticut Council of Administrators of Special Education (ConnCASE), the Connecticut Bar Association, and other state and regional organizations. Ms. Laubin is a member of the Connecticut Bar Association’s Professionalism Section, serving as Secretary and as a member of its Executive Committee. She also is a member of the state bar association’s Education Law Section and serves on the section’s Executive Committee. She is also a past president of the Connecticut School Attorneys Council. Ms. Laubin has a Martindale-Hubbell Law Directory AV® Preeminent™ peer rating, a rating Martindale-Hubbell publishes that is based on peers’ evaluation of a lawyer’s legal ability and general ethical standards. The basis of this rating is explained at www.Martindale.com/Products_and_Services/Peer_Review_Ratings.aspx.